During the day, the monuments are a must, and it is essential to run between the Coliseum – which will soon be restored and made even more enjoyable by the tourists, the Fori Romani – where Caesar, Augustus and Trajan vied to make bigger and bigger the sumptuous architectures, the Basilica of San Pietro in Vatican City, with its museums and of course the Pietà by Michelangelo. Worth a visit also the Pantheon, whose moat is said to be a work of the devil, and the Trevi Fountain, where you can throw a coin and make a wish, the Spanish Steps and Trinità dei Monti with its 135 steps, Piazza Navona, site of the ‘clash’ in 1600 between the great architects Bernini and Borromini. Finally, the museums in Rome: the Vatican Museums with the Sistine Chapel, the Capitoline Museums with a breathtaking collection, the Borghese Gallery with works by Caravaggio, Raphael, Rubens, Titian, Correggio, and maybe the Macro, the museum of contemporary art within the old, restored building of the Peroni brewery. In the late afternoon, the best is to go shopping around the famous streets in Rome. The choice is wide, Rome offers tourists eager to spend all they could wish for. The best brands of Italian, European, Asian and American fashion have their showrooms here. In Via del Corso, Piazza Venezia and Via Tuscolana, in Via Marconi or Viale Europa in the Eur area, in Via Nazionale and around Trastevere … you can also save money. But when you end up in Via del Babuino, Via Condotti, Via Borgognone, Via Bocca di Leone, Via della Vite or via Mario dei Fiori … then you must be ready to open wide your wallet. Nevertheless, the high quality of the products, clothing, jewelry and accessories, is absolutely guaranteed. Finally, in the evening, tired of visiting all the monuments and walking around the shopping areas, Rome still has lot to offer. 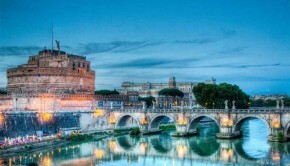 The preferred nightlife destination for Romans and tourists of all ages is certainly the Trastevere district. The area around Campo de’ Fiori is crowded with people who just want to have fun. In Trastevere there are restaurants, pubs and wine bars, to suit all needs. Another area for nightlife is the Testaccio district, with discos and nightclubs, as well as the area of Piazza Navona. For those who want to overdo it there is also, just outside the city, the entire Castelli Romani area, particularly popular during the summer. 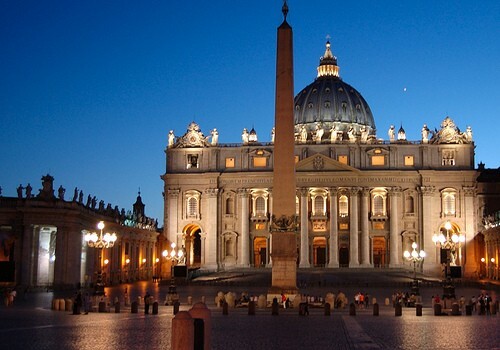 Last but not least, our personal suggestions about flights to Rome and accommodation in Rome. Take a look at our offers of flights to Rome operated by both national, international and low cost airlines. 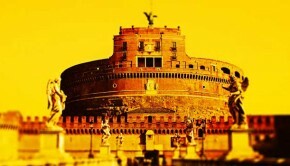 And dont’t forget to choose the hotel in Rome that suits you best. Rome offers a wide choice of hotel accommodation in every city district, from hotels close to Termini Station, to B&Bs near the Vatican City and guesthouse a few steps away from Colosseum. Francy Hi! My name is Francesca I love travelling, getting in touch with new lifestyles, new ways of thinking and most of all always discovering news places around the world! 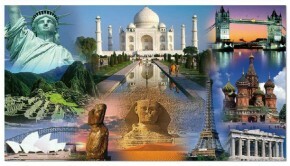 I like reading travel books and magazines, art and food. These are my passions that I try to share with you.